Today is our last day in Istanbul. We slept in a bit since we are our own guides today. 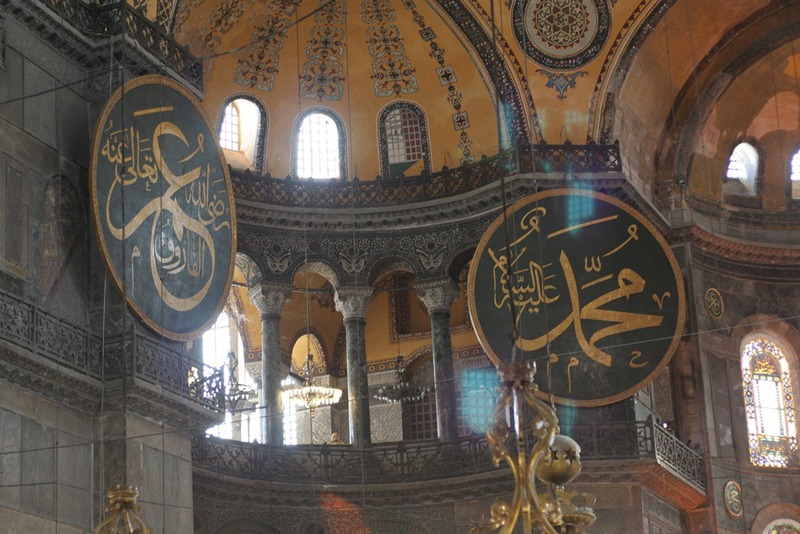 Eight of us decided that we could not leave Istanbul with out seeing The Hagia Sophia (Holy Wisdom). So we hopped some cabs and headed over there. 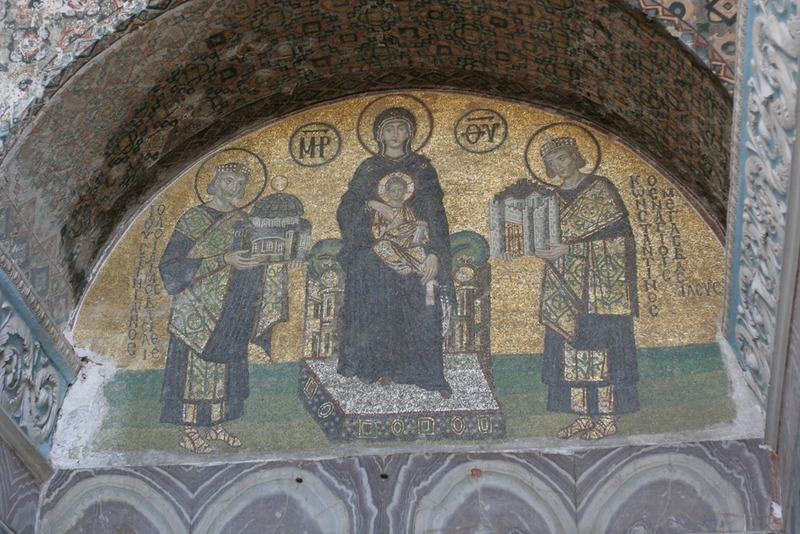 The Hagia Sophia was originally built as a Christian Church during the Byzantine Empire in the 6th century. 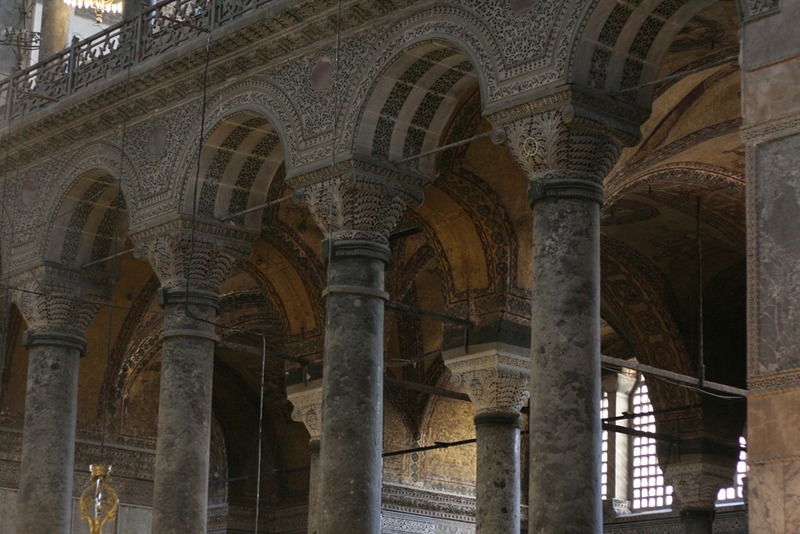 After the Ottoman invasion of the 1430s the building was converted to an Islamic Mosque. 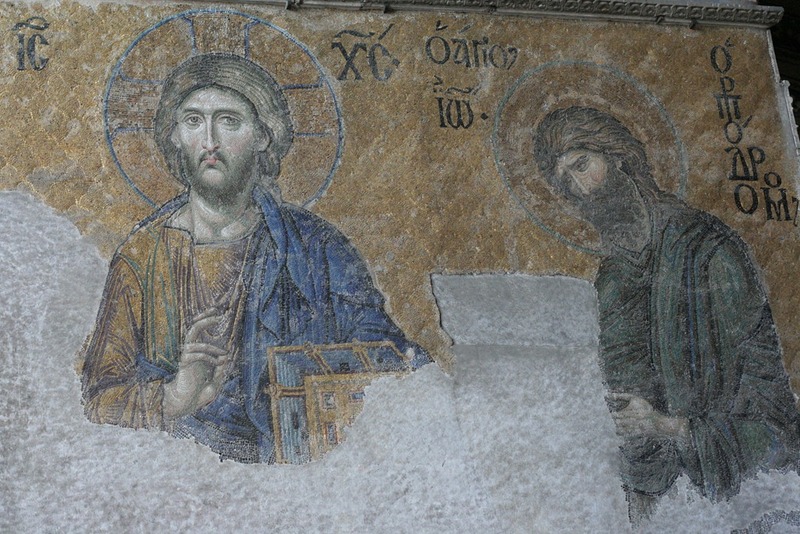 The Muslims painted and plastered over some of the Christian symbols. Then, during the 1930s while the country was under the leadership of Mustafa Ataturk, the building was turned into a museum and is still to this day under restoration. This may be the most beautiful building I’ve ever been in. This museum is a testament to the outstanding architecture and artistic painting from both eras and religions. The restorations and site excavations have brought the past to life. Being as this building was designed to be an earthy mirror of the heavens, words and pictures can not do it justice. This place should be on everyone’s bucket list. We made our way to the airport in the afternoon for our in-country flight to Nevisher. It is in the center of the country in the Cappadocia region. We landed to a beautiful deep pink sunset over the mountains and our friend Serpil who took a bus from Ankara where she lives and our driver Mustafa were there to meet us. 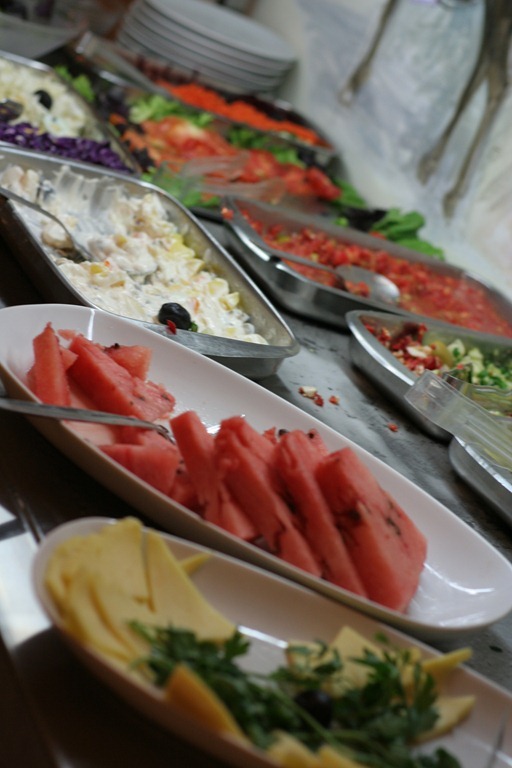 We went to our hotel, The Buyuk Avanos Oteli, and had drinks and a wonderful buffet dinner of traditional Turkish cuisine. 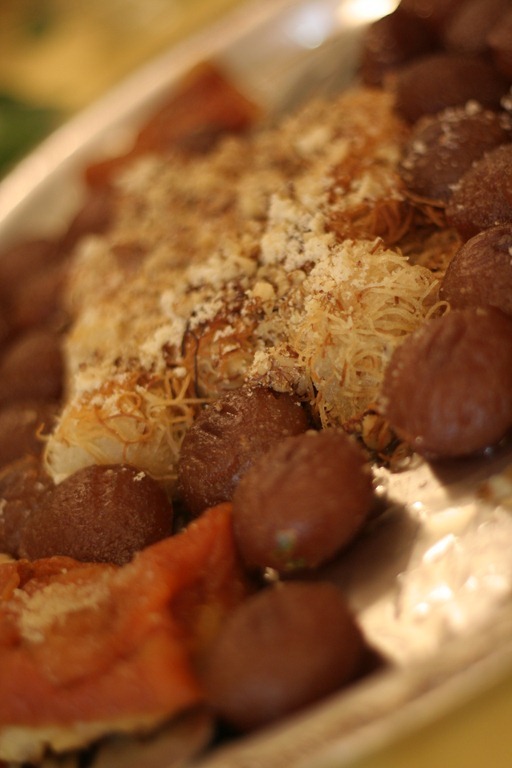 Fresh salads with beets and carrots, melons, cheese, grapes, peaches, bulgur, stuffed eggplant, chicken kababs, cheese pastries, and of course delicious desserts. Off to bed now, tomorrow is a big day!